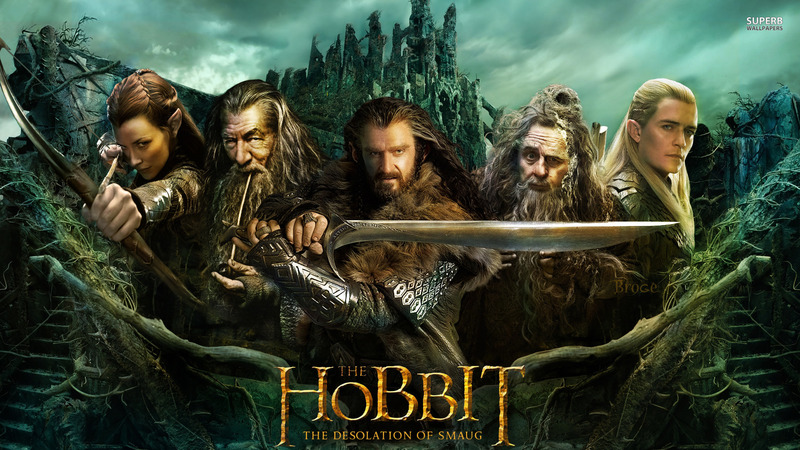 The latest instalment in Peter Jackson’s epic tale of Middle Earth comes in the form of The Desolation of Smaug, the awkward second film in the Hobbit trilogy. With its predecessor, An Unexpected Journey, setting the scene for the upcoming saga through a captivating, fantastical mix of side scrolling action and character driven storytelling the bar for the next chapter in the saga was set up in the clouds above the Lonely Mountain with the roaming Smaug. The ever reliable Jackson can’t quite muster the same enthusiastic gusto as an An Unexpected Journey, but still captures the imagination through some blistering action, creating some of the most memorable sequences in the past year of cinema. With the emphasis on sequences of frantic fighting and marauding chases the narrative and characters, of which there are many, are relegated to a conspicuously shallow status, which, although a shame considering the talent at Jackson’s disposable, doesn’t hamper the film’s majesty and enjoyment even after nearly three hours of action. Picking up right where An Unexpected Journey ended, we find Bilbo (Martin Freeman), Gandalf The Grey (Ian McKellen) and Thorin Oakenshield (Richard Armitage), with his band of dwarves, on their quest to reach the Lonely Mountain where the unifying Arkenstone lurks, guarded by the tyrannical dragon, Smaug (Benedict Cumberbatch). Flanked by angry Orcs and hurried by the impending Durin’s Day, the pint sized motley crew’s mission has become increasingly dangerous, and with the dreary darkness of Mirkwood forest on the horizon their quest is only going to get more challenging. Utilising the same production ensemble as the previous editions the cinematography is expectedly brilliant. Middle Earth and its lands are a homely pastiche of pastoral England at the domestic level, but once the camera pans out for a trademark landscaping view you get the grandeur of the setting in full perspective, the interiors of these far away worlds are always of breath-taking, cavernous spender. It’s this impressive balancing of fanatical elements and relatable real world locations that make Jackson’s work so inviting and memorable, aided by the once controversial decision to shoot in 48 frames per second, or high frame rate, that takes the Hollywood gloss off in exchange for a much rawer, intimate approach. Eclipsing the wonderful scenery are the action sequences that stand out above all else, despite being fast, furious and frequent throughout. An Unexpected Journey gave us the exhausting rampage through the depths of the Misty Mountains, but The Desolation of Smaug eclipses its precursor with several sequences of blistering excitement and insuperable chorography. 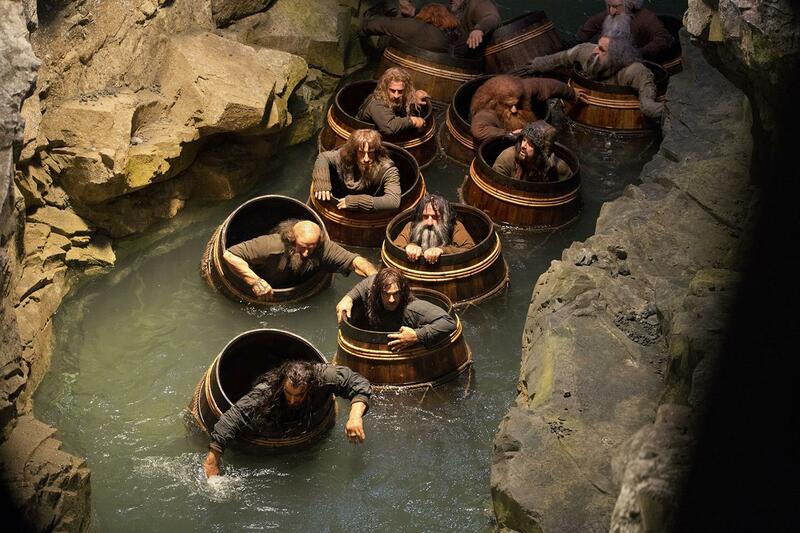 The rollercoaster ride down the river with the Dwarven contingent stuffed in barrels, pursued by fiendish Orcs and upstanding Elves, is a joy to behold, never missing a beat with its blend of, surprisingly, violent action and, literally, bouncing humour. While these sequences look chaotic, they are immaculately fluid without stifling creativity or remaining predictable. resulting in the definition of an all action, epic blockbuster romp, effortlessly trumping the tired superhero building smashing and car crashing ideals. With the roaring action indisputably successful it’s not surprising that the film fails to be miscible with the characters and narrative. The abundance of characters, old and new, are enthralling cases individually, but seldom do any receive the deserved screen time that would propel them beyond being defined by their varied ethnicities. Protagonist Bilbo has a script that amounts to little more than a napkin’s worth of meaningful dialogue, forcing Freeman to call on his honed comic timing to develop his stilted persona. The dwarven flock mostly remain forgettable hairy little men and even the intriguing Gandalf is a periphery figure, similarly to his part in The Two Towers. New faces Legolas (Orlando Bloom) and Tauriel (Evangeline Lilly) may not warrant an introduction due to their central role in Lord of the Rings, but Master of Lake-town (Stephen Fry), skin changer Beorn (Mikael Persbrandt) and doting eccentric Radagast the Brown (Sylvester McCoy) mean little to the audience beyond names, their role and purpose unclear in the grand scheme of things. 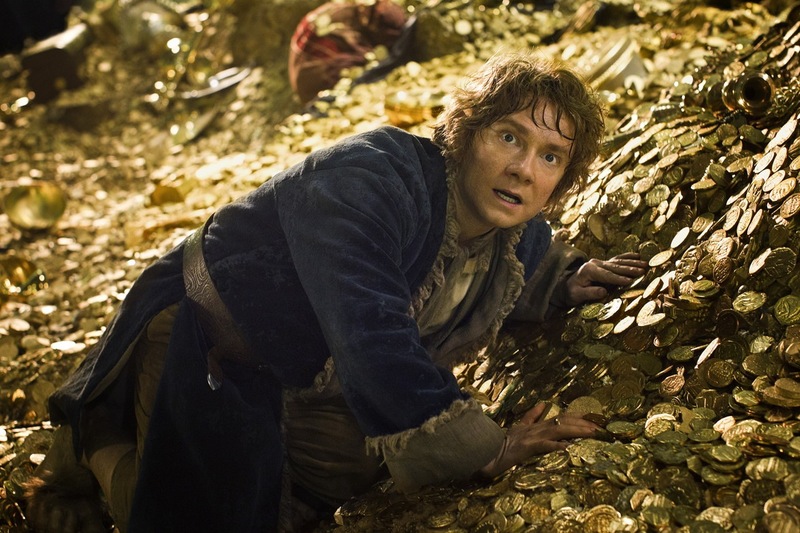 Oddly the only novel character of interest is the imposing reptilian overlord of the old dwarven treasures, Smaug. Voiced by the omnipresent Benedict Cumberbatch, the dragon has a personality, breaking trend with the stereotype of it being little more than a mindless, blood thirsty monster. Instead Smaug is cool, calculating and unscrupulous creature who possesses an air of sophistication that few dragons can lay claim too. His fraught verbal exchanges are brief, but they empower Smaug in the same way that made Golem the memorable personality of Lord of the Rings. The plot fairs little better than the characters in its development, plodding though at a pedestrian pace enough to fill out the film’s significant running time. The quest moves along enough to reveal the mythical Smaug and advance bubbling sub plots, but all these advancements falter under the impending, closing, instalment of the trilogy. It’s been debated whether Tolkien’s The Hobbit needed to be made into three films, considering it’s shorter than one book in Lord of the Rings, and at times The Desolation of Smaug feels like a time filler, albeit a very enjoyable one. An Unexpected Journey was a triumphant return to Middle Earth, the raft of characters old and new embarking on another quest filled with bravado, excitement and, most importantly, novelty. The Desolation of Smaug continues the good work of the first without recreating the same balance of character development, narrative invention and frenetic set pieces. The action is cranked up to a new level of rambunctious enjoyment at the expense of meaningful character examination of our lead protagonists, the lack of interesting dialogue the crippling issue. It’s on the shallow side, but The Desolation of Smaug is another fine outing in Middle Earth, Jackson and his team once again show a masterful ability to build a robust and beautiful world, setting up a climactic end to Bilbo Baggins’ story.